In addition to the Dial Miracle Oil Body Wash I reviewed recently, Dial has also introduced new Miracle Oil Hand Soap infused with Marula Oil. As much as I like the body wash, I was super excited to get to try the hand soap and I was not disappointed. The soap is super gentle on skin and the marula oil keeps hands soft even with frequent washing by nourishing while protecting skin from damaging free radicals. At the same time, the miracle oil has deep cleaning power to remove dirt. What a perfect combination! I liked the feel and lathering of this hand soap. True to it's word, my hands felt clean and fresh after washing, without feeling super dry. Would you like your own bottle of Dial Miracle Oil Hand Soap? Enter below to win two free bottles of this wonderful hand soap. Good luck! Dial makes great products and I think this would help moisturize while it cleans. I'd like to try this Dial soap because my hands are showing a lot of dryness. This soap will help to moisturize them. I think it would be extra-moisturizing. 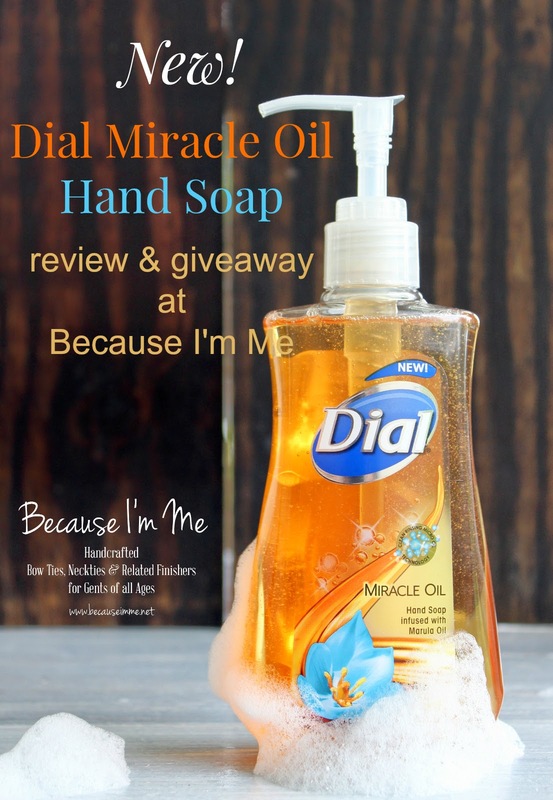 I'd love to try Dial Miracle Oil hand soap because I think it'd help my hands out. I'm constantly washing them and they're getting dried out big time. I'd like to try Dial Miracle Oil Hand Soap with Marula Oil because I have very dry hands.